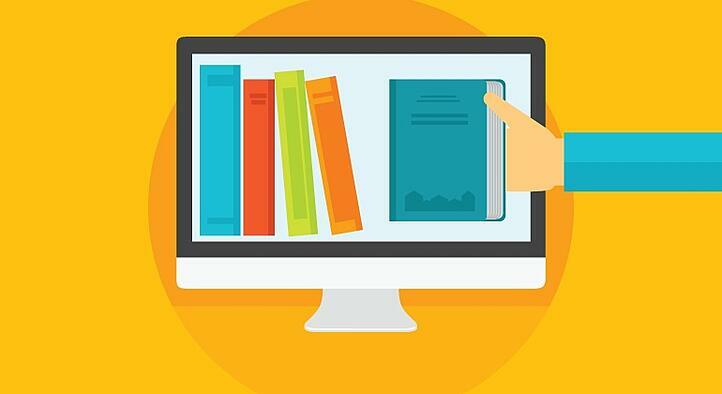 How to develop an eBook that’s an effective marketing tool. Downloaded an eBook lately? Most likely, if you’re a B2B buyer, you have. According to recent studies, an astounding 95% of B2B respondents consider vendor-produced content trustworthy, and over 65% have used eBooks to help them make purchase decisions over the past year. As a matter of fact, white papers, eBooks and webinars were the top three most valued content sources, indicating that longer user stories are resonating with customers and prospects. So how can an eBook help you promote your business? eBooks make great marketing tools when used correctly. First, make your content engaging and informative—skip the hard sell. The very nature of the word “book” implies that you have a story to tell, or valuable information to share. This is your chance to position your company or service as helpful and knowledgeable, which helps you win points with prospective customers. Remember to include facts and statistics in your eBooks. Research shows that B2B buyers love benchmarking information that illustrates how they compare to peers and industry standards. This can be a smart marketing tactic to demonstrate that your product or service category is widely accepted and one that the prospect should be considering. Take advantage of the longer form an eBook gives you to make your brand more engaging. Promoting your business with an eBook gives you the real estate to give your brand more personality. Stay within your branding guidelines, but consider giving your eBook a theme, or “look.” Ideas are endless, including a map or travel theme, a play on game shows, movies, or even popular books. The idea is to make the reader want to stay with your book, absorbing the content while appreciating your creativity. This leads us to a very important step when using eBooks to promote your business: Make sure the book is well-designed. Think through how much content is on each page (pro tip here—less is more when it comes to the amount of copy per page), how visuals help tell the story and what the visuals should look like, and remember to use charts and graphs liberally. In addition, make use of sidebars to help organize the content and highlight important points. And don’t forget to have a Table of Contents to help the reader understand the structure of the book and how to quickly find information. Remember that even for B2B buyers, the world has gone mobile. Don’t assume, and don’t design, the eBooks you use to market your business for desktop viewing only. Over 80% of B2B respondents in a recent survey cited viewing business-related content on smartphones, and over 50% viewed content on a tablet. Like everything else you do online, make sure your content is optimized to work across platforms. 6. Gather the relevant information. Finally, spend some time thinking through the form you ask your potential customer to complete in order to download your eBook. Keep the form short, but utilize marketing software such as HubSpot to help you keep track of the information you collect so you can obtain new information as the prospect moves through your sales funnel. This information will be valuable as the prospect becomes ready to complete the purchase. eBooks are an important marketing tool, but require thoughtful planning and strong execution to work well—just like every other marketing tactic! See a successful eBook example here. And oh, by the way, is it “eBook,” “ebook,” or “e-book?” Well, according to the AP Stylebook, it’s “e-book,” but we like the way “eBook” looks, so we went with that.